USPO Priority Mail is available at a flat shipping and handling rate of $7.00 for 1- 2 items, $11.00 for 3-16 items, $15.95 for 17 or more items. Items usually arrive within 2 - 3 business days. Economy Shipping is available within the United States at the rate of $4.00 for up to 15 items, $6.00 for 16-30 items, $8.00 for 31-45 items and $10.00 for 46 or more items. Economy shipments usually arrive within 2 - 8 business days, but may take up to 14 days. Orders are normally processed and shipped within 24 hours on weekdays, and 48 hours on weekends. Upon shipping, a tracking number will be emailed to the customer. All sales on special offer items are final. However, any item that is defective or was shipped in error may be returned by calling or emailing Lee Roberts Music Publications, Inc. Please indicate the reason for the return. Lee Roberts Music Publications will provide you with an RA number and instructions for return. Returns cannot be made without an RA number. 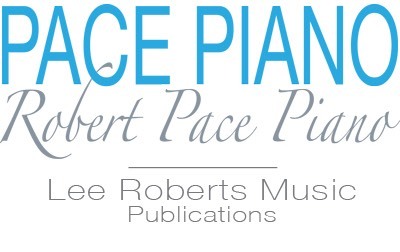 Purchases on the Lee Roberts Music Publications website are made securely through PayPal by credit card or by PayPal account. The customer is emailed a receipt for each transaction once payment is completed through PayPal. PayPal protects the customer’s financial information with sophisticated fraud prevention and security systems. Details on PayPal’s security system may be found on the PayPal website. Credit card numbers are NEVER SHARED by PayPal with the merchant, Lee Roberts Music Publications. PayPal receives and provides to Lee Roberts Music Publications, the customer’s shipping address and phone or email contact information for the purposes of processing the order and contacting the customer. Lee Roberts Music Publications does not share this information with third parties.